1. Value Creation based on Our Corporate Mission | Value Creation Model | Corporate Information | Akebono Brake Industry Co., Ltd.
As an independent manufacturer specialized in brakes, Akebono strives to deliver safety and peace of mind to customers all over the world. Throughout our global operations, we develop, manufacture, and provide brake pads, brake linings and other friction materials as well as such mechanical parts as disc brakes and drum brakes. 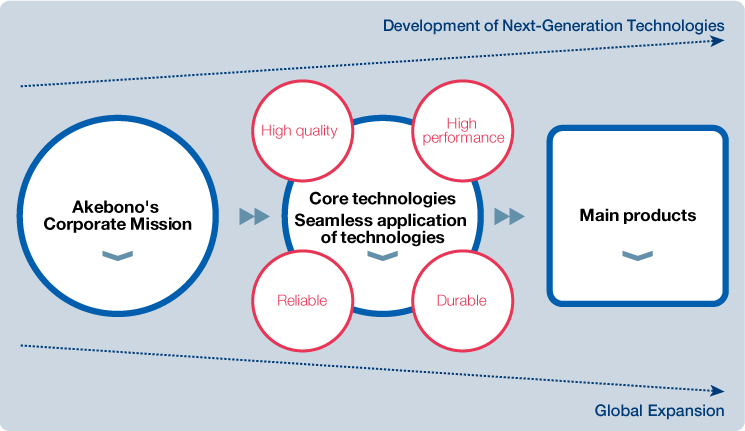 We will leverage the technologies that we have accumulated through the automotive field to develop in diverse business areas and focus on development of next-generation technologies to contribute in creating a safe, secure society. In 1999, Akebono established “akebono’s Corporate Mission” as a guideline that indicates the path that the Company should take. 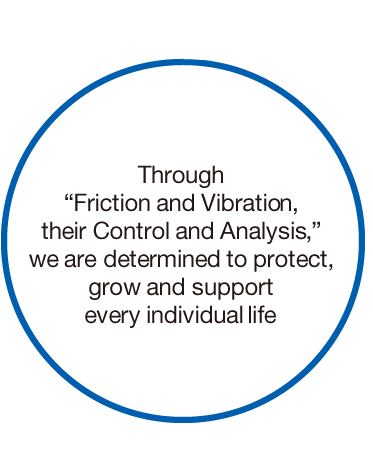 “Friction and Vibration, their Control and Analysis” is Akebono’s original theme. Guided by the Corporate Mission, Akebono will continue to create value and contribute to the development of a sustainable society. 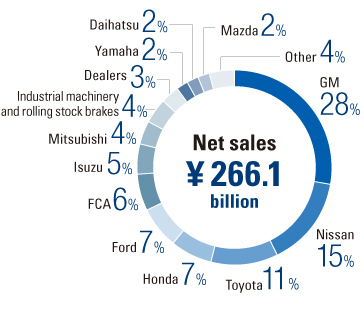 The development and manufacture of automotive brake-related products is Akebono’s main business. Our products cover a range of categories from passenger cars through to high performance vehicles. Moreover, we provide brakes for motorsports such as Formula One with the aim of enhancing our technological strengths. We also supply brakes for motorcycles, rolling stock and industrial machinery, drawing on our core technologies cultivated in brake development for automobiles. 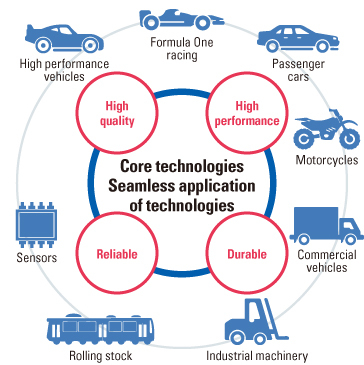 We also develop and supply sensor products that leverage our vibration analysis technologies, aiming to expand into the fields of social infrastructure and mobility. Our main OEM customers include Toyota, Nissan, Honda, Mitsubishi, Isuzu and all other domestic automakers as well as many overseas automakers, including GM, Ford, FCA, Porsche, and Mercedes. 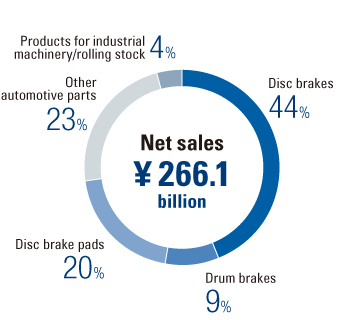 Currently, Akebono’s share of the Japanese OEM market for automotive disc brake pads stands at approximately 46%. 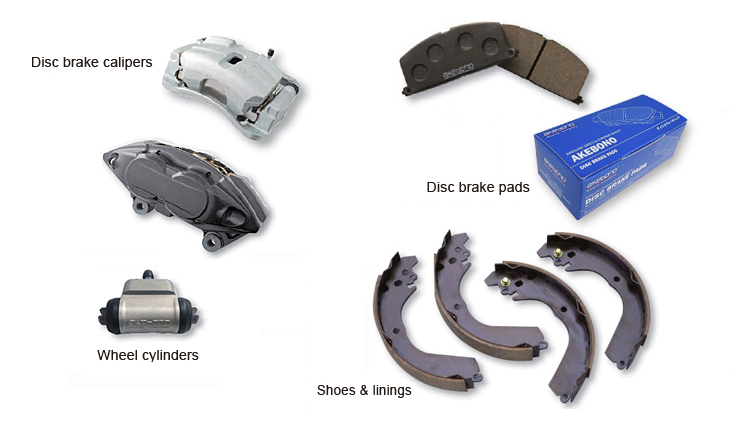 As a comprehensive brake manufacturer, Akebono develops and manufactures friction materials and components for disc brakes and drum brakes. In particular, its North American business involves the development and production of the core components of disc brakes, including calipers, pads and rotors. 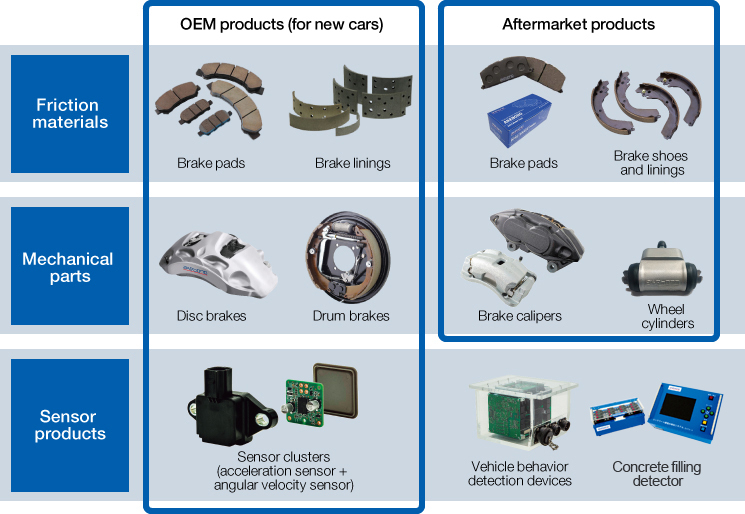 This allows the Company to enhance the efficiency of brake development. Among brake suppliers around the world, Akebono is one of the few capable of manufacturing both friction materials and mechanical parts. Akebono also provides customers all over the world with aftermarket products designed in accordance with their needs, backed by the solid technologies and quality that has developed through diverse OEM operations with the world's leading automakers.